Being fit and attractive are two different things and especially being a fitness model has some interesting facts in it. Most of the people think fitness modelling and the rest of the model profession is one and the same, but that is a common mistake most of them built in their mind. Being a fitness model is not an easy task, to become a fitness model a person needs to work on the body and maintain it in good shape by eating healthy food. It is one of the main elements that every fitness model should focus more on. Whenever someone, call themselves as a fitness model, then there is a common constraint that keep popping out of people’s mind that they should have an amazing body. It is a common expectation that each and every person holds in their mind about fitness model diet to be in shape always. There are certain things that need to be fulfilled before being a fitness model and having a great body is a compulsory ingredient. Sometimes people think that if someone needs to be a fitness model, then they should quit eating and they must have some sort of eating rules to be a fitness model. There are several things that people constructed inside their mind about being fit and being a fitness model. In modeling field, one need to eat healthy to stay fit and attractive, but when it comes to being a fitness model one need to eat good food which contains healthy fat. Being a human, regardless of a profession of a fitness model it is a common thing to feel like eating something fried and sugary. But in the case of a fitness model they need to keep themselves organized so that they might not get distracted by any other outside elements which can make them lose their focus. Therefore, it is necessary to keep oneself disciplined and focused to achieve their goal of being a fitness model. Other than maintaining a great body, a fitness model needs to learn how to face the camera without being uncomfortable. Initially when it is a first time of their career as a fitness model, people have issues with the camera. Some people are natural and comfortable with their body, but few are just not comfortable in front of the camera. Therefore, it is a learning lesson for all the fitness models that they need to learn how to handle such situation. To create a portfolio a fitness model need to find a great and reputed photographer who can kick start their career as a fitness model in a full fledge way. Creating an amazing portfolio is a must in the modeling industry. Therefore, every person who wants to become a model need to have a portfolio through which they can contact the people interested to work with them. It is like a resume or an application for the rest of the commercial field of work. An agency is a place where modeling jobs or fashion industry related services are provided. It is like a consultancy where all the fashion model and fitness models are provided of their related work. And being a fitness model a person need to find a well known agency so that they can start their career as a fitness model. Therefore, choosing a right agency can lead them towards a successful career if they have it in them to become a fitness model. Before starting a career as a fitness model a person need to learn about their job market first. Most of the time it happens because of excitement and energy, people forget the actual work behind the particular job market. Understanding the job market helps to build confidence in them with the work they are going to provide as a fitness model. Therefore, it is necessary to understand the job market so that there won’t be any sort of confusion in the future. Most of the time it happens that because of their great body and attractive nature, they forget to be polite and patient with their career. Being a fresher in the fitness modeling, a person need to learn how to be polite and patient first. Because at the start of their career if they are choosy and show a lot of attitude, then there is no way that they would be a successful fitness model. Moreover, without politeness and patience, no one can succeed anything in their life. Some of the fitness models work as a model who appear on a fitness video explaining all the details about the fitness and training stuff. But some people just don’t want to be that and they are just focusing more on being in the magazines than videos. And to do that a fitness model need to keep in touch with the reputed editors who shoot such sessions with fitness models and try to be in their good books for future references. In some of the pictures of a fitness models they try to be stripper more than a fitness model. Therefore, a fitness model needs to keep in mind that their fit body is a part of advertising their ability to keep their body in shape and not advertise them to the audience for the sake of some cheap stunts. A fitness model advertises their skills to eat healthy and be in a great shape. And also to encourage the rest of the people to hit the gym more than staying at home and eating junk food. Finally, the bottom line is that at the end of the discussion about being a fitness model, all the readers might have understood the difference between a fashion model and a fitness model. 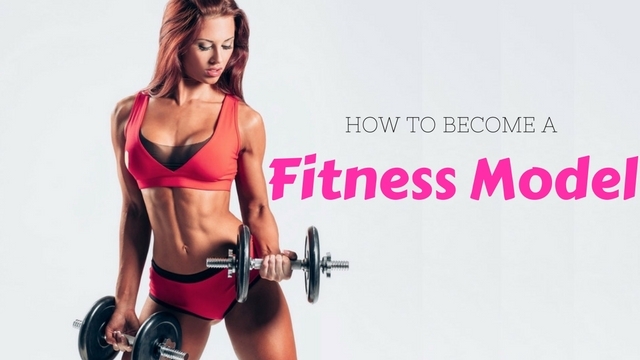 Therefore, if anyone interested to become a fitness model or interested to start their career as a fitness model, then they should give a minute to read this discussion to understand how to become fitness model.